Part of our induction for new-to-remote health professionals (HPs) has been the Cultural Orientation training, which is conducted by Northern Territory General Practice Education (NTGPE). Going forward, RAHC will be offering this one-day cultural orientation program in-house. The program is designed to give new-to-remote HPs an intensive and comprehensive introduction to the many cultural aspects of working with, and living in, remote Aboriginal communities. There is a focus on cultural issues in the context of providing health care in these communities.. This training assists HPs to be safe and efficient team members when they are at the remote clinics on placement. 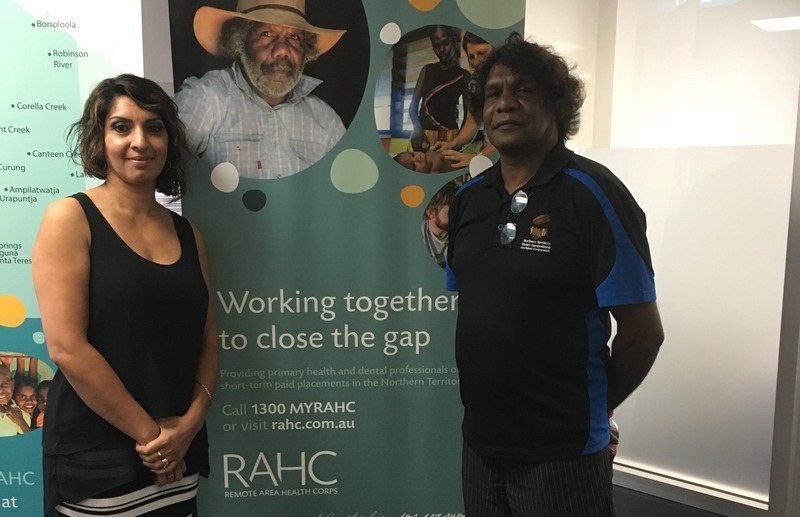 In addition to his new role with RAHC, Daniel is also employed by the Northern Territory Stolen Generations Aboriginal Corporation (NTSGAC) as the link-up, social and emotional wellbeing Support Officer (Counsellor) in Darwin. He has completed a Cert IV in Community Services Works and a Diploma of Narrative Approaches for Aboriginal People - Counselling, Group and Community Work.